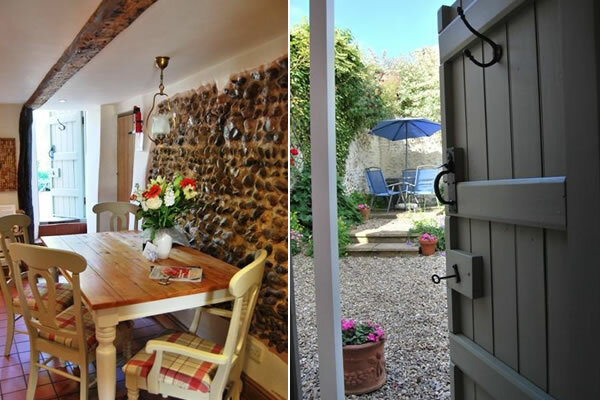 Walnut Cottage is a beautifully restored and presented 18th century cottage situated in central Wells. 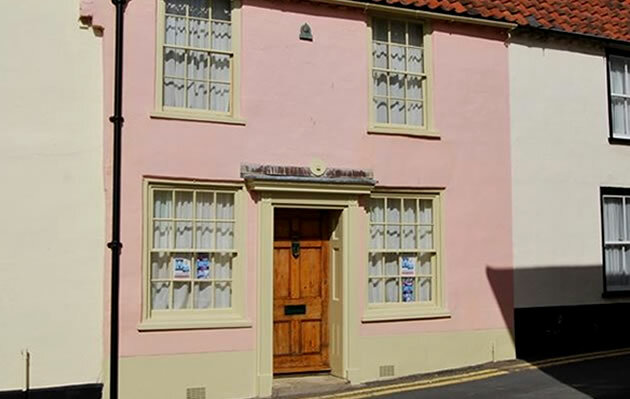 Located in the old High Street in a quiet location just 5 minutes walk from the Quayside. This is now a very quiet street filled with unique, pastel coloured houses of all descriptions, each with a history of their own. The cottage is a delightful Georgian double fronted house with an enclosed rear garden, which is very private. Rear access is gained from the adjacent Green Dragon Lane. The cottage was built in 1720 and renovations were completed in May 1998, to provide a very comfortable and attractive home. 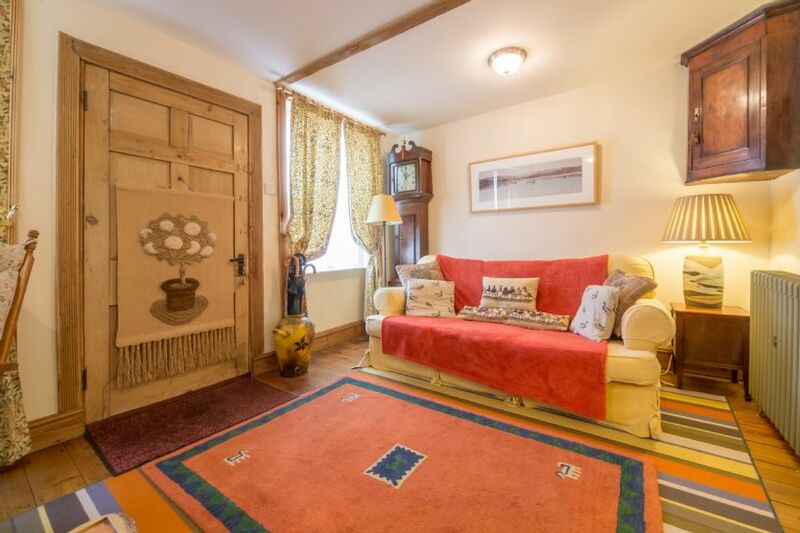 In brief, the cottage comprises of a fabulous sitting Room a really cosy and comfortable room with chairs and sofa, cast iron woodburning stove, LCD TV with DVD player, music center, iPod docking station. Good selection of DVDs, books, games and magazines. Logs and coal, available locally, are supplied for three days of fires. 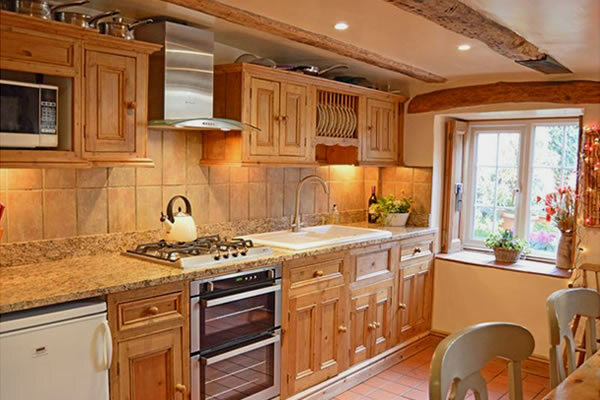 The kitchen is a real heart of the home, traditional pine kitchen with pamment floor. Well equipped with gas cooker, fridge, washing machine, microwave. There is also a large dining table with chairs and a wonderful old door with enormous key to pretty and sheltered rear courtyard garden. There is an enclosed and carpeted spiral staircase leading to the landing. Landing area with chairs, original Georgian floorboards and built in pine wardrobe. 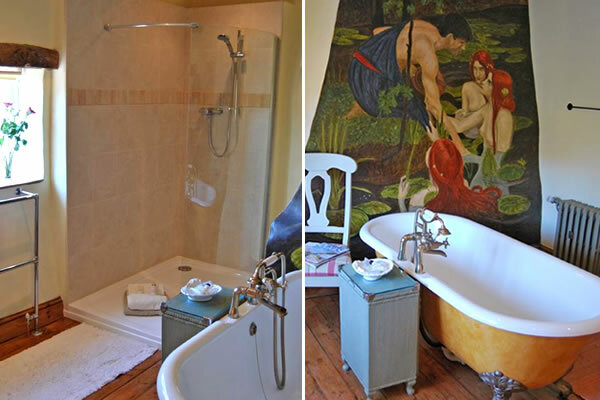 The large family bathroom is quite simply a stunning room with an amazing original mural. A free standing Victorian style roll top bath, spacious and stunning frameless walk in shower, WC with high level cistern and basin. The perfect bath to enjoy a bottle of champagne and candles in. 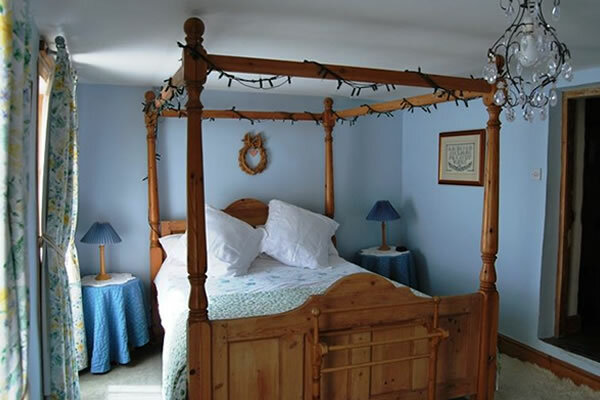 The Master bedroom is a romantic and calm room with pine four poster king sized bed surrounded with single white fairy lights. A Tempur mattress promotes a fabulous nights sleep. CD player, wardrobe, mirrors, hairdryer. Bedside tables and lamps. On the second floor is a twin-bedded room with a lovely view over gardens to the Buttlands, the village green, which in the 18th century housed the town band stand. It is a very pleasant area surrounded by mature trees and this is the most suitable place to park being only a few seconds from the rear of the house. Outside: There is a secluded and sheltered very pretty courtyard garden to the rear of the cottage with seating and outside lighting. Perfect for al fresco dining. Parking is available free on The Buttlands and it is a two minute walk to the cottage. 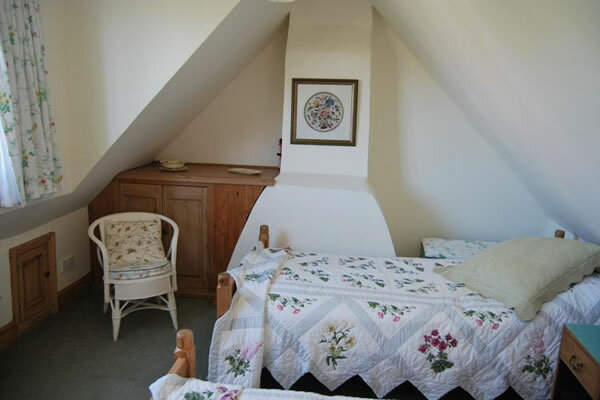 The cottage is a 5 minutes walk from the quay and a few minutes to all the local shops. Almost anything can be purchased locally and the local supermarket will still deliver your shopping free of charge. There are miles of prime sandy beaches, excellent woodland and bird-watching areas within easy access by foot or car. The nearby Holkham Hall grounds are very pleasant for a stroll, and you are never far from a friendly pub or tea stop whichever route you may take.